Danni & Dan married at Bannatynes Hotel in Hastings, East Sussex. 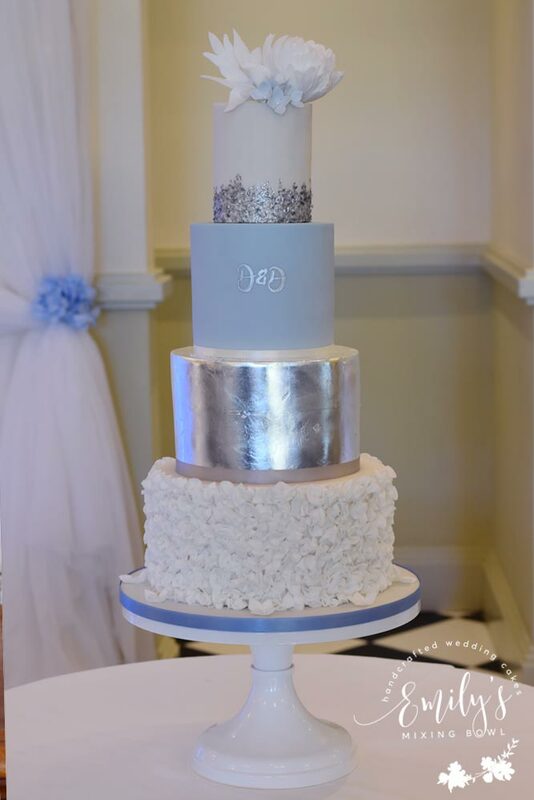 Their wedding theme was baby blue and silver and together we designed this personalised cake with a white ruffle bottom tier, gilded silver leaf tier, monogram personalised tier and sequin top tier. The cake was finished with a small sugar flower arrangement to add height and interest.